We have over 125 Types of Plastic Fans starting from 56 Frame to 225 Frame. The raw material used for these Fans is Polypropylene, Glass Filled Polypropylene or Glass Filled Nylon. The Bore Size in these Fans can be varied within certain limits. We are also manufacturing Plastic fans for Alternators & Carriage Fans which are used in Railway Coaches. 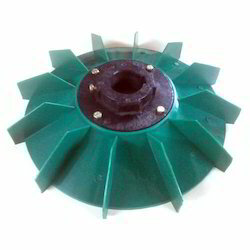 PLASTIC FANS We have over 120 different types of Plastic Fans starting from 56 Frame (1/8 HP) to 225 Frame (50 HP). The raw material used for these Fans is Polypropylene or Glass Filled Polypropylene or Glass Filled Nylon. Most of these fans are meant for totally enclosed motors. We also have a few variety for rotors. The shaft diameter of these fans can be varied within certain limits. We have over 120 different types of Plastic Fans starting from 56 Frame (1/8 HP) to 225 Frame (50 HP). The raw material used for these Fans is Polypropylene or Glass Filled Polypropylene or Glass Filled Nylon. Most of these fans are meant for totally enclosed motors. We also have a few variety for rotors. 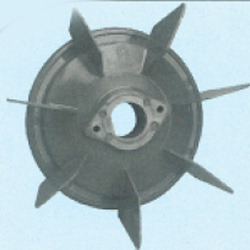 The shaft diameter of these fans can be varied within certain limits. We msckolkata offer frame ND-200, ND-225 frame motor cooling fan in PVC material for CGL motor. Our firm is offering large assortment of beautifully designed Promotional Plastic Fans. Koolon Plastic new modern cabin in white beautiful colour hi speed and available for 12"/300mm.